Who can qualify in North Carolina for a sales tax exemption on utilities? A manufacturer or an industrial processor in North Carolina can qualify for a sales tax exemption on utilities used in production. A utility study is required to identify what portion of electric, gas, and water is used for production. That portion of utility used for production qualifies for a lower sales tax rate of 2.83%. The utility study is described in more detail below. How can one obtain the sales tax exemption on utilities in North Carolina? A North Carolina company must file a special utility sales tax exemption certificate with the utility company. This certificate is certified by the filer that the utility study is accurate. This is required because the study is the method used to determine what portion of the utility consumed is used for production. The portion of utility used for production is entitled to the lower tax rate. 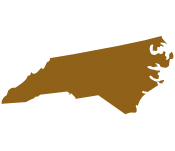 North Carolina doesn’t require a professional to complete the certificate or utility study. However it is standard and recommended because of the certification of the exempt portion and the required accuracy. This prevents the situation that the utility company comes back on the customer for an inaccurate exempt percentage. This problem is avoided by contracting a professional who certifies the study. In North Carolina the predominate usage study isn’t required. But for information purposes, if this study shows more than 50% consumption of any utility meter is used for production, then the whole meter would be exempt. However a utility study is required in order to determine what percentage of a meter’s consumption is used for production. The study must list each piece of equipment and appliance that is used for production and its annual consumption must be included on the list. That is the individual annual consumption of each piece. Likewise a similar list is required to be filed for all non-production equipment, appliances, and their individual annual consumption. From this study the exempt percentage is determined. What is the scope of work of a professional providing the utility sales tax exemption work in North Carolina? Utility Study: On Your Mark performs the utility study and evaluation at no charge. On Your Mark works on a contingency fee basis so the upfront analysis is free. Upon qualification, approval, and only when the savings are obtained, does On Your Mark charge a sharing of the savings. Refund potential on sales tax paid on exempt meter: On Your Mark will file a refund claim for any prior sales tax paid during the statute of limitation period of 36 months. Minimize time and frustration: The utility study is time consuming and laborious. Time and frustration is eliminated by having this contracting work done outside. Risk-free way to Obtain the Utility Sales Tax Exemption – in the shortest amount of time: On Your Mark provides the utility study and evaluation at no charge. The only time fees are paid to On Your Mark is after savings have been obtained. So no savings, no fees. On Your Mark typically has the Texas Sales Tax Exemption Certificate on Utilities filed within 30 days of authorization to proceed.